This event is currently full. Please contact the admin office to join the waitlist. An opportunity to join a racing crew for a series of events in The Solent, with a Sunsail Skipper. 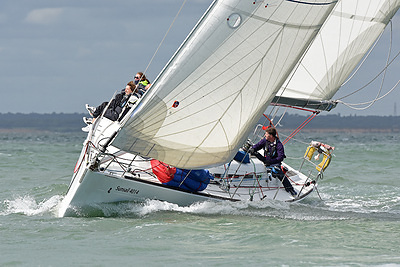 LCSC will be taking part in the Sunsail Racing series 2019, sailing out of Port Solent near Portsmouth. The cost for each weekend would be £240 per person per weekend including Yacht Charter, Fuel, Mooring fees and Breakfast & lunch on board. You will be expected to bring your own wet weather gear, but oilies will be available for hire from Sunsail if necessary. No experience necessary, but we will be aiming to build on our collective skills with a view to establishing a winning team. Therefore if you commit to the series then you will be given priority when selecting the crews for each boat. If there is enough interest in the events, then we may secure more than one boat. Please secure your place by booking below.